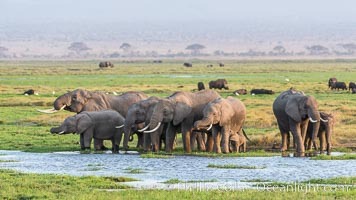 African elephant herd, drinking water at a swamp, Amboseli National Park, Kenya Drink Photo. 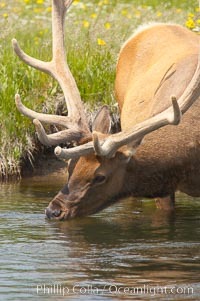 Elk drinks from the Gibbon River, Gibbon Meadow. Drink Picture.